Forget about peach pie. Plump and juicy blueberries grow across the American South and make delicious pastries and sauces and line fresh market shelves just before peaches ripen. Provide blueberries a sunny location with a fertile, very acidic soil that remains moist. Choose varieties best suited to the mild winters and long hot summers in your Southern state. Native to the American Southeast, rabbiteye blueberries (Vaccinium ashei) relish the climate and soils extant in the South. They need multiple plants in a garden to ensure excellent flower pollination and subsequent fruit production. Some recommended varieties include: 'Climax,' 'Premier,' 'Brightwell,' 'Tifblue,' 'Beckyblue' and 'Powderblue'. Mixing varieties of rabbiteye types in a home orchard satisfies each types need for cross-pollination. Choose selections developed by the University of Florida for gardens along the Gulf Coast, as they need to tolerate very mild winters. Generally speaking, even rabbiteye blueberries fail to prosper much further south than Ocala, Florida. 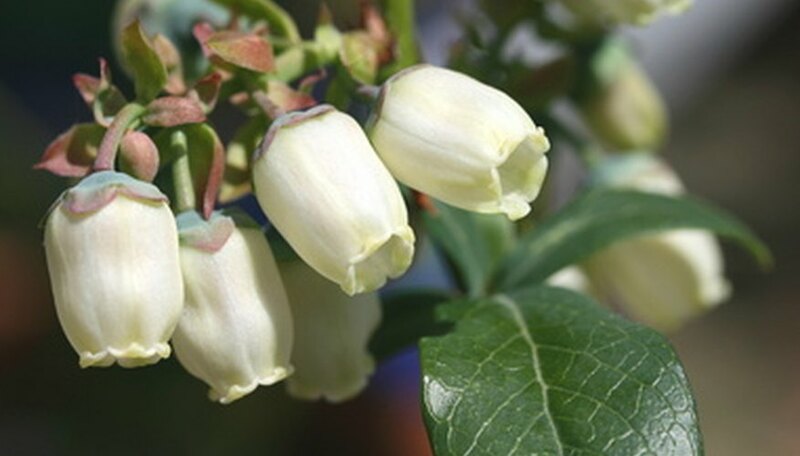 Otherwise known as the Northern blueberry (Vaccinium corymbosum), the highbush blueberry also hails from the United States, but grows much better in cooler reaches of the South. While this blueberry species prospers in Michigan, Ohio or New Jersey, it only grows in the cooler mountain regions such as western North Carolina, northern Georgia, eastern Tennessee and perhaps Arkansas' Ozarks. Do not expect them to be long-lived, as they truly need cold winters and cooler summers and need cool, moist soils that quite frankly need to be perfect--conditions too finicky for most gardeners. Try selections 'Earliblue,' 'Duke,' 'Patriot,' 'Nelson,' 'Sierra' and 'Elliott'. The southern highbush blueberries are hybrids, combining the qualities of the rabbiteye and northern highbush species. These blueberries tolerate long, hot southern summers well and ripen their fruits earlier in late spring, before the rabbiteye blueberries. 'Showchaser,' 'Jewel,' 'Rebel,' 'Southern Belle,' 'Abundance,' 'Biloxi,' 'Jubilee,' 'Sharpblue' and 'O'Neal' prove relatively pest and disease-free across much of the South and produce good crop yields. Plant multiple shrubs to increase cross-pollination, even though the hybrid southern highbush blueberries are considered self-fertile.